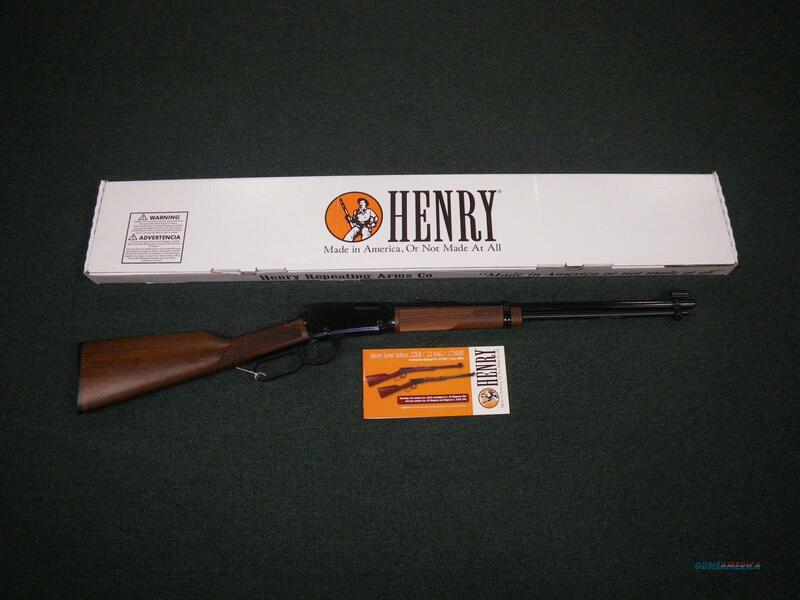 Description: You are bidding on a new Henry Classic Lever Rifle in 22 mag with a 19" barrel. The Henry Lever Action is a classic Western-style lever action rifle, and one of the most popular .22’s on the market today. The reason for its popularity is because it shoots great, looks great and is remarkably affordable – about half the price of the competition’s rifles. The Henry Lever Action rifle features an extremely attractive American walnut stock, the quality of which can only be found on guns three times the price. The action is exceptionally smooth, so smooth many first timers remark that they cannot believe the rifle has any internal parts. You simply have to get one into your own two hands and cycle the action a few times to see for yourself. Displayed images are stock photos. Any questions please feel free to ask (our phone number is in the additional information tab above).